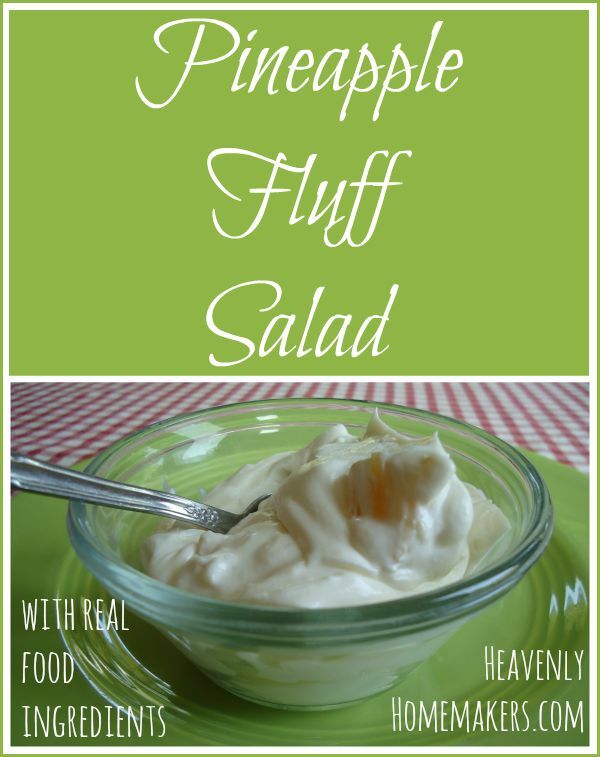 We can actually make Pineapple Fluff with real food! 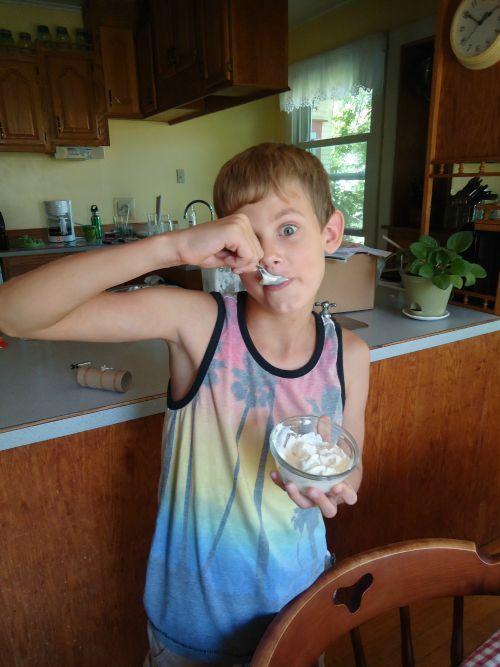 While we were out at church camp this summer, one of the cooks made a huge bowl of “Green Fluff Salad.” Malachi, our 10 year old, helped himself to seconds and thirds – absolutely loving this salad. Now I personally think that calling this a salad is kind of like calling margarine butter which no one should ever, ever do in my hearing because I will gag and then I will do the ugly cry on the spot. (Do not picture this.) A dish which contains green jello, cool whip, cream cheese, pineapple (yay fruit! ), and mini-marshmallows is…I’m going to say…a dessert? Now if you like that variety of “salad,” more power to you. I understand these types of cravings because I still want an occasional Dorito even though I know better. But I just question the use of the word “salad” here and now back to the story. Before I go on, you need to know this: It was my birthday. We were talking about side dishes for my birthday dinner. Mine. Does my child not know me the way I thought my child knew me? Was he also going to buy me some margarine as a gift? I felt an ugly cry coming on. Squeeze him. Now that’s a boy who knows how his mama thinks. I mean, I knew all along that’s what he meant. I never doubted for a minute. I knew he didn’t mean for me to go buy cool whip and marshmallows. C’mon now. Open pineapple, drain, and save juice for drinking another time. In a high-power blender mix cream cheese, whipping cream, vanilla, lime juice, and sweetener of choice until well combined and smooth. In a bowl, fold pineapple into the whipped mixture. If you want this salad to be green, I’m sorry. Real food is only green if it comes out of the ground that way. Jello doesn’t grow in a garden. It’s okay though. I put this salad in a clear dish on top of a green plate and that kind of gives it the greenish look. I do what I can. Did Malachi like the results? Yes. He absolutely loved it. No jello needed. Lime juice did the trick, as did a tiny bit of sugar. I didn’t take the time to figure out a marshmallow substitute for this because I am not crazy, and whipping cream was an obvious real food substitute for cool whip. This kid received the “favorite kid in my kitchen” award (because none of my other kids were home) and I received the “nailed it” award on this recipe challenge. Fist bump, high five, happy dance. Are you familiar with Green Fluff Salad? Or other colors of fluff salad? Drop-kick those (but not literally because, eww) and make this amazing real food version. This sounds awesome! It is everything I would eat. I can’t wait to make it. Before you listed Jello, I thought you were referring to Watergate salad, which is pistachio pudding, canned pineapple chuncks, marshmallows, cool whip and sometimes maraschino cherries. Reminds me of my Midwestern childhood, where every Sunday/holiday dinner with Grandma involved a jello or pudding “salad”. Even now, some relatives still like to slather fruit salad with things like vanilla yogurt. Seriously, isn’t real fruit sweet enough? This sounds great! My husband loves those fluffy salads and I wont make them – horrible wife that I am. ;) I think I will surprise him with this on Friday. Thanks! So this has nothing to do with pineapple fluff, but it made me smile, so I wanted to share. Yes, totally relates! :) Sometimes I get so excited about the food in my cart that I want to dance and sing. I might try that some day and see what happens. :) Thanks for sharing your fun story. I love the innocence and excitement of kids! You rock Laura! My Jello-deprived husband and daughter will love this! 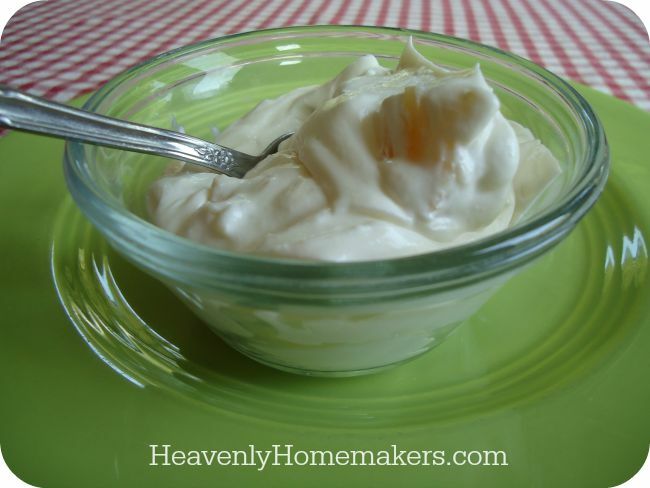 I used to make an orange “salad” years ago with orange Jello, instant vanilla pudding mix, Cool Whip and mandarin oranges . . . yummy until I started to read labels and realized what we were eating. Then I pretty much felt the gag reflex start to kick in. I can’t make to make this! I think I’ll have to add some of those mandarin oranges, too! Couple questions . . . about how many cups does this make, and do you think adding a little coconut milk would make this too runny? What about the coconut cream that Tropical Traditions sells? YUM! My 8-year-old son had some sort of “marshmallow salad” somewhere and has asked me to make it. I quickly informed him that it wasn’t salad, wasn’t even real food. But this is definitely real food and I will gladly serve this as dessert. Think I’ll use fresh pineapple since we all love that. Thank you!! I used to love Watergate salad (which is similar), but haven’t had it in years! I will have to tinker with the recipe and see if I can come up with a healthy equivalent! When I read this, I thought, “I bet she’s going to put green grapes in it to make it green like the jello!” This sounds absolutely delightful, and I might put green grapes in mine. Plus I think with 2 fruits, it would definitely be a salad!!! I’m sure I would absolutely gobble down this “salad” if I could. But unfortunately, I can’t have whipping cream, and Cool Whip is a big no-no (have you ever read the ingredients on a container of Cool Whip? – nasty stuff). So, I wonder if there’s a non-dairy substitute I could use for the whipping cream? I wonder if plain yogurt would work? Yes, Cool Whip is full of really terrible ingredients, for sure. I would think coconut milk yogurt should work great! Not only do I love your website, but you always make me laugh! Thank you for not only bring us wonderful recipes, but the blessings of laughter through you comedic way of writing about daily family life! I let all my children read your post because I know they will be blessed as I am and my two oldest girls (18 & 13) are usually cracking up along side me while we read your stories!! Yes I use !!!!! a lot … it’s just who I am!!!! I grew up in a home where my mom and grandmothers all made lots of interesting “salads.” As kids we ate them because they tasted like dessert. As adults, none of us can make them without gagging. Who puts jello or food coloring in their food?! It cracks me up to look back at the old church fundraiser cookbooks I inherited. There are tons of jello and cool whip salads in there. I’m glad we left the 60s and 70s and that “modern science” food behind! We have enjoyed fluff “salads” at our house in the past and recently had a discussion about trying to make them healthier. I wondered why you had never tackled this one. Glad for your inspiration. Might be able to revise some of those old recipes, now. One of ours had cottage cheese in it which I liked for the hint of saltiness. You forgot to throw some spinach in the blender with the other ingredients to make it green!